Leaked Sony image: Is this the ST25i Kumquat? What’s this? 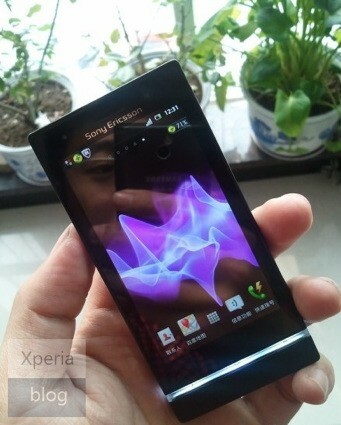 If this is true, it looks like one of the jilted partners in the Sony Ericsson split is doing all it can to ruin the nice surprises planned for next month’s MWC. An image has appeared at Xperia Blog that purports to be of the ST25i Kumquat, which, if you’ve been paying attention is the cheapest of the three phones due in April listed on the leaked roadmap from a few days ago. The design language matches the Nozomi and the Xperia S we played with at CES, but the on-screen icons are clearly bigger: pointing us in the direction of this having a cheaper display (with a worse resolution) than its brothers. Don’t let that Sony Ericsson logo fool you either, the company’s producing versions that bear both branding, at least for this set of releases. We’re off to grab a microscope and see if we can’t glean any more facts from the snap. Leaked Sony image: Is this the ST25i Kumquat? originally appeared on Engadget on Sun, 22 Jan 2012 16:14:00 EDT. Please see our terms for use of feeds. President Obama may have been on Google+ since November, but the administration is now stepping up its presence on the social network even further in anticipation of next week’s State of the Union address and the forthcoming presidential campaign. It now has an official White House Google+ page, where it plans to post the usual news, photos and videos, and also host regular Hangout video chats. There’s no promises yet that the President himself will take part, but the White House says it will regularly have administration officials and policy experts take part in the conversations, which will also be streamed on YouTube and WhiteHouse.gov. Those interested can click the link below to add the page to their Circles. The White House joins Google+, invites you to Hangout originally appeared on Engadget on Sun, 22 Jan 2012 15:23:00 EDT. Please see our terms for use of feeds. If you swing past your local Best Buy and pick up one of those new-fangled LG Smart TVs, you’ll find TouchTV’s news-clip collection platform available inside. That way you’ll be able to watch the trendiest (or at least the most watched) current-affairs clips without having to wait the twenty seconds or so before your rolling news channel of choice displays similar. 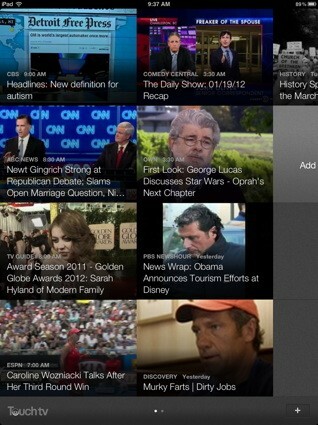 TouchTV also announced today an iPad app that’ll let you grab those newsy clips from your Apple-based slate of choice. The app’s available gratis from the store (link below) and we’ve got the official words and pictures from the company about both products after the interval. TouchTV comes to LG Smart TV, iPads: catch news clips at home, on the go originally appeared on Engadget on Sun, 22 Jan 2012 14:04:00 EDT. Please see our terms for use of feeds. This entry was posted on January 22, 2012, 5:33 pm and is filed under Mobility. You can follow any responses to this entry through RSS 2.0. Both comments and pings are currently closed.